These are the kitchen trends you can’t miss out on! Kitchens are probably one of the most important spaces in your home. To prepare meals, to have a quick snack with family before rushing to work, or to bake your favorite cake and surprise your friends with your skills, your kitchen should be one of your priorities. We will show you the top kitchen design trends you will be applying to your home right after reading this! People are going back to the classics and interior design has followed this trend as well, very much so in kitchen interiors. Brass is back as your best friend when choosing the materials of the taps or the cabinets’ handles. Little touches here and there of this particular material will bring shiny back into your kitchen. Marble makes a statement. Such a beautiful material used in kitchen interiors just feels right. Coming in different styles, whether it be intense or lighter, in grey, white or black, it always stands out against wooden floors, colorful cabinets or brass countertops. It’s the perfect choice for your kitchen interior design. One of the biggest trends this year is mix-matching, whether it be materials or colors, and when it comes to cabinets, that is well applied. 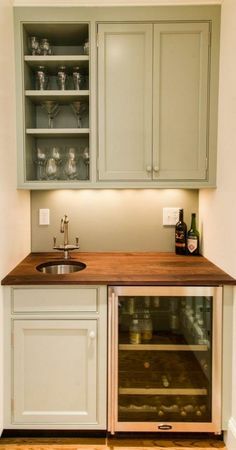 Applying two different colors to the cabinets to distinguish the top ones from the bottom, It will great a stunning dynamic in your kitchen interior design that will accentuate even further your furniture pieces. Go crazy for navy blue in your kitchen decor! An amazing color that pairs even better with dark wooden floors, white marble countertops and metallic grey ovens. You can pair it with stylish kitchen hardware in the same palette of colors and you get a modern kitchen that will make you feel like you live in a house right near the beach, soaking up the sea in colors. 5. A Splash Of Color! A trend we all want to be on board with! The kitchen is the perfect place to add some color to, being a space used to cook meals, including breakfast first thing in the morning. It could become a lively room in your home decor, colorful, playful and casual, one you would be happy to enter every day and would motivate you to work on your cooking skills. Go for some color in counters, cabinets and so on. You’ll be surprised with the stunning result! They say less is more and they are so right about that! A kitchen trend we adore, minimalism introduced into kitchen interiors make it a much cleaner, less cluttered, and more natural and sleek space. Modern and ready for anything, a minimalist kitchen is for many a dream, and you can make it come true and add it to your home decor. Storage is more and more important nowadays. And by storage, we don’t mean clutter. Smart storage ideas of incorporating storage space into kitchen counter corners or applying shelves on empty spaces, makes a kitchen much more modern, functional and ready for anything. Organizing your spices, cutlery and so on, will greatly and positively impact your life. And last, but not least, wooden floors, a trend that is here to stay. Using a material as simple but as stunning as wood inside your kitchen can only be positive. Adding to the nature elements that make a space brighter and more beautiful, wooden floors work perfectly if you wish to use other materials on your countertops, cabinets, and so on. It’s easy to combine with different materials and colors and will definitely be something you will wish to have in your kitchen interior design.